Yoga and Strength on the schedule. I opted for 40 minutes of yoga only today. Resting up for the half marathon on Sunday. Last Saturday, the day before ShamRocknRoll Run 10k, both my running buddy, Kevin, and I helped out at the race for the packet pickup area. We volunteered from 1-4 pm and had a great time doing it. Here's a picture of what we did. Runners came over to the expo to pick up their race packets. We helped get the bags and shirts ready for the runners when they picked up their bibs. 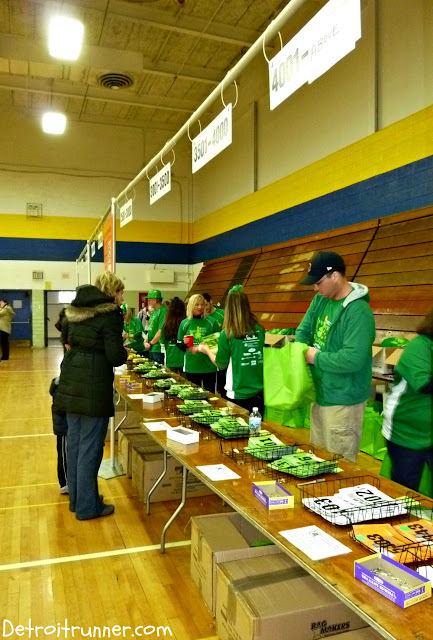 As most of you probably know, you go to packet pickup to get your race bib along with your shirt. 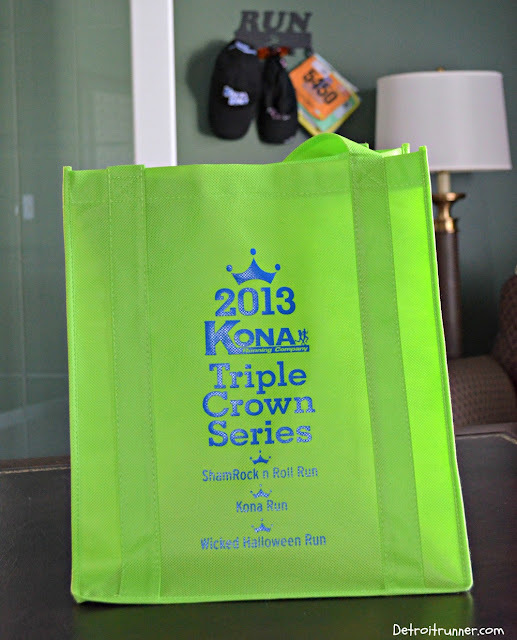 This year, Kona also gave our bags with the Triple Crown Series on them so we gave those out as well. The race gave us a volunteer shirt for helping out. I was actually tired after our shift. I helped open up the bags and when someone called out a shirt size, I grabbed the shirt and put it in the bag. A very, very easy job compared to the many jobs that were needed for the race to be a success. It's incredible the amount of volunteers and work it takes to organize a well run race. 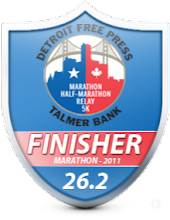 I'm glad that I was part of it this year and am happy to give back to the running community to help make races a success. If you have not volunteered for a race in the past, I suggest that you do it. 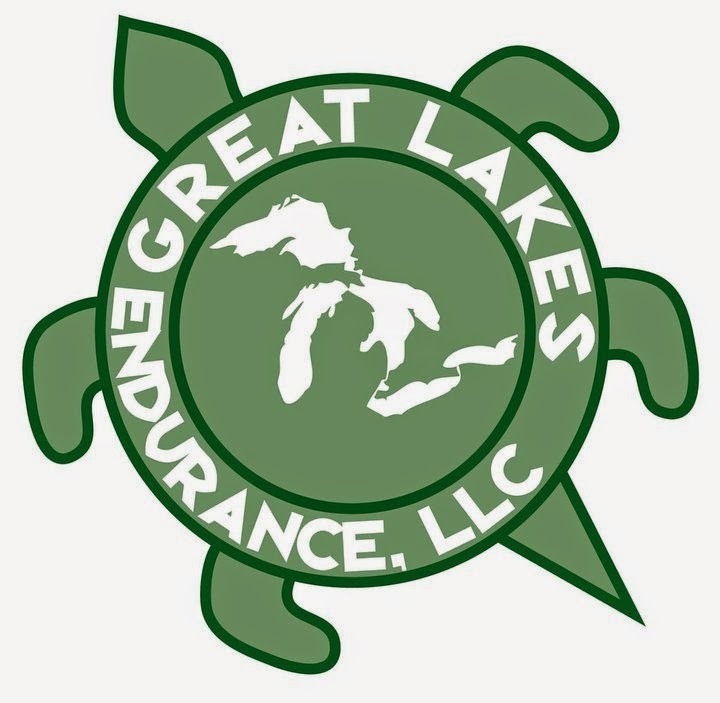 It's a rewarding experience and you feel more connected to the race, especially one that also intend to race. What kinds of jobs have you done as a race volunteer? I have never volunteered at a race, but I hope to someday. I am so thankful for all the volunteers that allow me to have so many great races! web site is in fact superb. I've done lots of things, usually not very glamorous things, for races!! I do a lot of volunteering for Running Fit. Until last year, after our group run we would assemble packets for races but that is now done at one of their other locations. I usually do things that allow me to volunteer and also run the race. I've helped with packet pick ups. I've helped with clean up after races. I once unloaded a truck of cases of bottled water and was sore after that! I've went around picking up missed cups where a water station was. I once rode around on the tail gate of a pick up, in the winter, to pick up cones from a course. The truck would stop and I'd jump off and grab cones and put them in the back and jump back on. 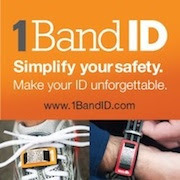 I once removed the velcro ankle band/timing chip from triathletes ankles after they crossed the finish line; that was fun because they were so happy; I got high fives and hugs from sweaty strangers!! I stood at a corner and directed runners to "turn right" during a triathlon; my feet and back hurt like crazy from just standing in one place! I've changed out full trash bags in trash cans, picked up trash many times, and lots of other things I can't remember right now! Wow Lorenda! Above and beyond more runners volunteer duties. Thanks for being out there! Was a race marshall at the Hong Kong Vibram 100km earlier this year; best experience ever! Hi Sue. I read your post. Great experience. It looked like fun.